This week is flying by and we haven't found a single moment to photograph my newest finished quilt, Wanderlust, that I so badly wanted to share here this week. Hopefully that will happen this weekend for a Monday blog post! 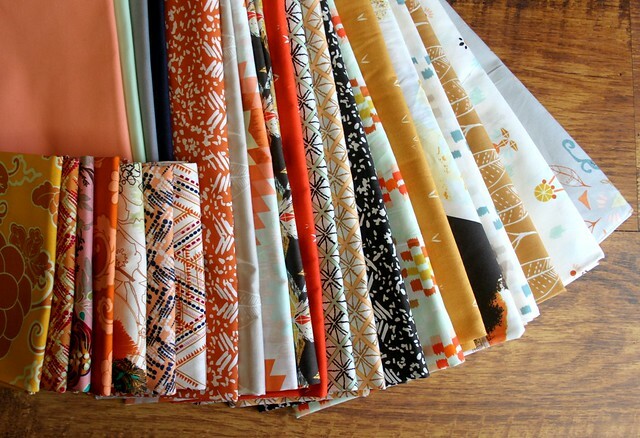 The rest of this week's sewing time has been spent filling Etsy orders, so all those colorful quilt wips I shared last week are still hanging around and likely won't see any action until next week, since those projects are all about tiny piecing that are pretty time consuming. So for today, incase a little stretch of sewing time does present itself, I have a pillow plan ready! 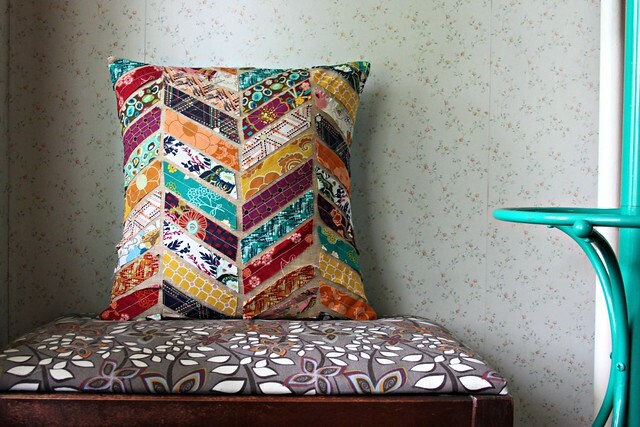 Along with my most favorite pillow, this scrappy chevron Kantha inspired creation! 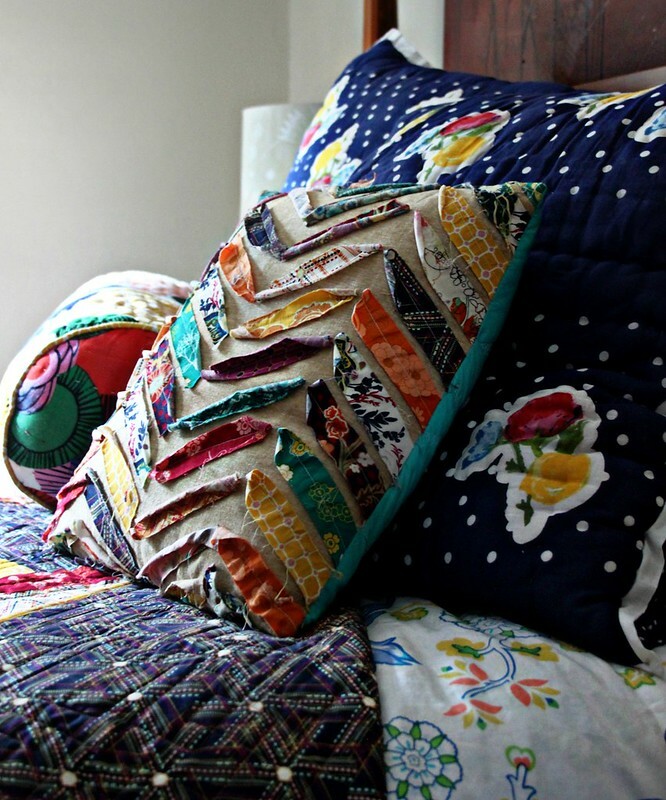 It's hard to believe this pillow is nearing three years old! But since it is, I think it's time to make another -- a perfect use for a Wanderer + Indie mash-up! Wow can't wait to see the finished pillow I know it will look amazing! love your site, Maureen, and every piece you have made. Would like a tutorial on your quilt with the Indie, too. And, is that beautiful piece of painted wood at the head of your bed, part of the bed or separate. It is gorgeous!! Love your old pillow, looking forward to seeing the new one. Happy Easter! What an awesome pillow! is your old one your own design? Did you have a tut? 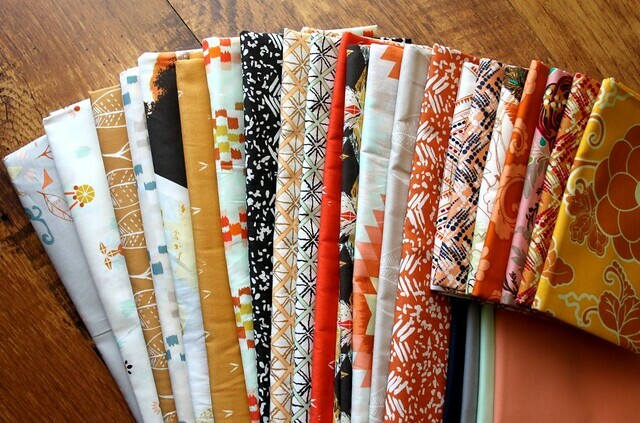 Maureen - Your Indie quilt is one of my all-time faves! I've been collecting Indie for quite awhile and plan to make something spectacular one of these days :) Looking forward to seeing your pillow!